Animal Assisted therapy is most commonly known in the form of taking dogs into nursing homes. In Equine assisted therapy we use horses to co-facilitate psychotherapy sessions. Why horses? Horses are social animals rely on their ability to be ‘present in the moment’ to survive. They teach us just this, plus they are very forgiving and non-judgemental. During equine therapy you do certain exercises from the ground with a horse and together with the therapist you aim to unravel and create some clarity into how you feel and why. We can also work to improve a particular skill-set. Equine therapy is great for improving communication skills, social skills, assertiveness/ confidence, creative thinking, problem solving, and relationships. This is because the horse is quite a big animal who responds mainly through non-verbal communication, like body language. One advantage of animal assisted therapy is that you don’t really need to explain verbally why you want help prior to starting. 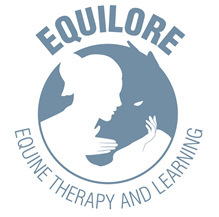 Equine therapy is a form of experiential therapy, which can be a very rich experience. I can work with children from the age of 7 upwards in group or individual sessions. Couples therapy and systemic therapy also available.